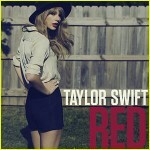 So here are some specific thoughts on the songs of Taylor Swift’s album Red. This is meant to be an addendum to the more broad album review posted, so please read that first or in addition to this for the context of these reviews. I reserve the right to write more in-depth song reviews of any of these songs, especially if/when they are released as singles, but these are some general thoughts. As a general thought on the songs overall, I thought there were too many of them. If you are going to release an album of 16 tracks (and there’s even more bonus tracks), they need to be solid. Instead, Red has some fat, diminishing attention from the stronger tracks. The 3 songs produced by the super pop duo of Max Martin and Shellback (“22”, “I Knew You Were Trouble”, and “We Are Never Ever Getting Back Together”) could have been eliminated all together, and this in itself could have elevated Red dramatically. Excellent beginning track, well picked and placed. As I said in my broader review of Red, the album’s best asset is its ability to set mood, and this song is an excellent example of that, and does an excellent job setting the mood for the entire album. “State of Grace”, along with the song “Sad Beautiful Tragic” later on are the best pieces of evidence that Taylor Swift is not your standard pop fare. You would never hear anything like this from Katy Perry. Parts of the song are downright chordy (musician’s jargon for chord changes that aren’t intuitive). For a pop song, “Red” regales the listener with tremendous depth of composition. The structure of the song gives Taylor’s verses freedom from rhyme so she can pick the most potent words instead of worrying with pentameter. At times the lines of the verses are too long for the music, meaning Taylor must start singing early. But instead of sounding like a mistake, the uniqueness of this structure draws you in, makes you pay closer attention to the lyrics. There’s a guitar solo folks! And it it’s not half bad. Not technically impressive, but tasteful and appropriate to the mood, which leads you into a half-timed chorus which is where if this song hasn’t reeled you in yet, hook pierces flesh. The vocal/electronico “la da da da” parts in the chorus are a little too obvious, but do their job of making this song catchy throughout. Lyrically “Red” is more mature than the pre-schoolish “ok class let’s match colors with moods” theme that presents itself on the surface. That is the base, but from there the song evolves to be about the biting pain of wanted love not allowed to progress to its fruition. For the first time from Swift, there’s a sexual dynamic to a song, however mild and veiled. This is probably the song on Red that I’m most interested in hearing the back story on or an explanation for, though we’ll probably never get it, or at least never get it in an honest form. It’s a fairly sexual song, or at least as sexual as Taylor Swift is willing to get to this point. Your imagination can run wild with “Treacherous”, and that’s what makes it work. The drug-like shot of endorphins the body emits when it knows it is about to do something either wrong or dangerous is where this song dwells, and Swift puts you right back there in that experience we’ve all felt at one point. Once again, her ability to conjure up mood is a strong suit. This is the worst song Taylor Swift has ever released in her career, and unlike some of her early songs that reeked of immaturity (because she was young at the time she wrote them), this one has no excuse. Taylor Swift knows better now, and she still did it. Just like with the 2nd worse track on this album, “We Are Never Ever Getting Back Together” that she says she wrote it to be purposefully annoying, Taylor Swift may try to play off this track (and the other ultra pop tracks on the album) as irony, but don’t buy it. This is an obvious attempt and pop and R&B radio play. The greatest sin of this song is Taylor is not being herself. We all know Taylor isn’t a party girl. She’s gone out of her way to make that point about herself many times. If she wanted to do a song just for fun, like say “Stay, Stay, Stay” or even possibly “Starlight” it would be one thing. But we know Taylor Swift and she’s not some club jumper. This song is out of her element, and honestly, embarrassing. And unfortunately, this is one of these tracks where the awfulness bleeds over to the other tracks, diminishing them and the whole Red project by proxy. This song might make her lots of money, but in the long run it will be an albatross around her neck, weighing down her attempts to appeal to both commercial viability and substance, and certainly will be a huge turnoff to the traditional, and even moderate country crowd. This is club music parody that will even piss off the club music crowd. It feels like her answer to country rap. Swift teams back up with co-writer Liz Rose–the woman who co-wrote many of Swift’s early hits from her first two albums–for the longest song on Red, and one I can’t find much fault in, but one I just couldn’t get in to. We’ll see if this song grows on you, but for the moment it’s pretty nondescript. I do like how Swift’s story builds out from a scarf still kept by an ex-lover. Of the Max Martin/Shellback-produced songs, this is probably the one that is most palatable, and the one that probably started out as something much better in raw song form than the dance club Frankenstein it turned into. Swift has gone out of her way to say that she is not a party girl. I’m sure we’ll get an explanation about how this song is supposed to be ironic at some point, but I’m getting tired of that being the stock excuse every time an artist that wants to be known for substance releases a cash cow song. I may catch hell for saying this, but I think this song has a little something. What does it have? I don’t know because I can’t quite put my finger on it through the awful production. But I think Taylor might be trying to speak about the shallowness of the young 20’s party life we’re all sold as being so glamorous through popular culture. But instead, Martin/Shellback make “22” a purveyor of it. 1 1/2 of 2 guns down. A good song, though probably a filler track on the album. Not from a sonic standpoint, but from a songwriting standpoint, this is one of the more “country” songs on Red in the way it works out from a lyrical hook. The problem is the “I Almost Do” hook really doesn’t bite like it needs to to make the song memorable on an album the contains such wild mood swings and contrast, and the music isn’t much help. But there’s nothing wrong with “I Almost Do”, and Taylor does a good job communicating that unsettled frame of mind when you’re not quite over a lover, but you’re beyond the point of knowing it will never work. The 2nd-worse song of the Shellback/Max Martin-produced tracks, and probably the 2nd-worse song Taylor has released in her career. Don’t buy into the idea that this song is bad to be ironic, it’s just bad. And releasing it as the lead single was another unfortunate miscue. See now, if this was Red‘s fun foray into the pop world, what a completely different feel the whole project would have had. This is a silly song, but that’s okay. Taylor is 22-years-old and doesn’t want her music to be all doom and gloom. This is the first of two songs (Starlight being the 2nd) that I hear a lot of 80’s pop influence in. I was under the impression that the ship had sailed on the whole 80’s resurgence, but either apparently I am wrong, or apparently Taylor is keeping it alive. Some people will complain that there’s nothing country about it, and that goes without saying. The bass guitar and song structure are fun. There is a long-standing tradition of duets in country music, and I think it is very telling that for both the duets on Red, Taylor reached out to the rock world, and to the British Isles; about as far away as you can get from country without being obvious. This may be just as solid as a piece of evidence that Swift’s heart is truly not into country as anything. This is what she listens to, Snow Patrol and other bands like them, not the contributions from country, or the greater American roots world. Nothing against Gary Lightbody, or even this song. It’s a solid contribution to Red, and a great duet. Lightbody is tasteful in the way he comes in and compliments Swift’s style and her ability to set mood instead of trying to make his own mark. It may be a little bit too emotional and moody, but it’s one of the better tracks on the album. It’s also fair to point out that Swift has a pretty good track record when touring to pick openers from the 3rd, or even 4th tiers of musical acts on their way up the ranks, instead of trying to find acts just below her that may bolster the ticket. I think that came into play with her duet pairings as well. A duet with Jason Aldean, or Big Machine’s new toy Tim McGraw may have garnered more American interest in this track. But instead she went with a dark horse, though it may be one that will help her open up new commercial avenues in the European market. This is a pretty innocuous track with an obvious background vocal track meant to make the song catchy, but instead it just comes across as rehashed from another popular songs whose name is on the tip of your tongue. Another filler track that could have been left off, but certainly not as evil as some of Red‘s other offerings. One gun up, one gun down. Possibly the best song on the album, and possibly the best song ever by Taylor Swift. Songs on the emptiness of the celebrity lifestyle like this have been done so many times before, but this is not a bad version of it, and a song outside of the regular Swift grooves of writing about love. A mild track that relies too much on catchy phrasing in the chorus and doesn’t really do the duet concept justice. Near the end Taylor is forced to go way above her comfortable singing register, and even though she pulls it off, it feels strained. With some exceptions, Taylor does a good job on Red–a better job than she did on Speak Now–of staying in her vocal comfort zone and not exposing her vocal weaknesses through composition. How many stories have you read recently about Taylor singing out-of-tune? This is a demon she’s mostly slayed, but with this song, she gives a slight reminder of her vocal limitations. Not as evil as the Shellback/Max Martin tracks on Red, but a close runner-up that is only saved by some of the retro elements and creative layering Swift and long-time producer Nathan Chapman cram into this confusing song that seems part dance club soundtrack, and part Pat Benatar 80’s revival routine (especially the way Swift inflects the way she says “moooved”). There seems to be a love story here, but the music sort of distracts you from it. You’re not sure if you’re supposed to just feel the groove and start dancing, or pay close attention to the words. It stars off sounding like pacifier-sucking glitter club music, until Taylor’s acoustic guitar comes in and she starts singing about the summer of ’45. Then you feel like you’re transported to a discotek circa 1984 blasting power pop. Did I hear a little Rush “Tom Sawyer” synth too? I don’t know, it sure is catchy. I’m not sure if this is another instance of music producers run amuck, or if Taylor and the producers were as confused as the song sounds like they were to find a clear direction for her demo track. Just as the 2nd song on an album is almost always reserved for what the label believes to be the album’s best song, the next-to-last is usually reserved for the weakest, and that’s probably where “Starlight” belongs. “Though on the surface this song is positive and about renewed love, Taylor Swift still gets her characteristic jabs in at old flames: “He didn’t like it when I wore high heels, but I do.” “He always said he didn’t get this song, but I do.” “I think it’s strange that you think I’m funny cause he never did.” But overall, it portrays the seldom seen, other side of Taylor Swift in a sweet little song that works, but probably isn’t a world beater or a mega hit waiting in the weeds. Did you just write two blogs about Taylor Swift’s new album? Which is not country, as you pointed out. Someone needs to start a Saving, Saving Country Music’s website. Could you maybe blog more about how boring the Hank Cochran tribute is? And yes, I did just write two blogs about Taylor Swift’s album. I could write another blog about the Hank Cochran tribute being boring, but that would be redundant, while in the case of Taylor Swift’s album, one article would have been too concise for the opinions I had to give. It’s really not that hard to understand. That said, I like the thought you put into your pieces about her (including this one and the full ‘Red’ review), neither mindlessly pumping her up nor simply bashing her. I haven’t heard the whole album, but I’ve streamed a handful of the tracks on YouTube. 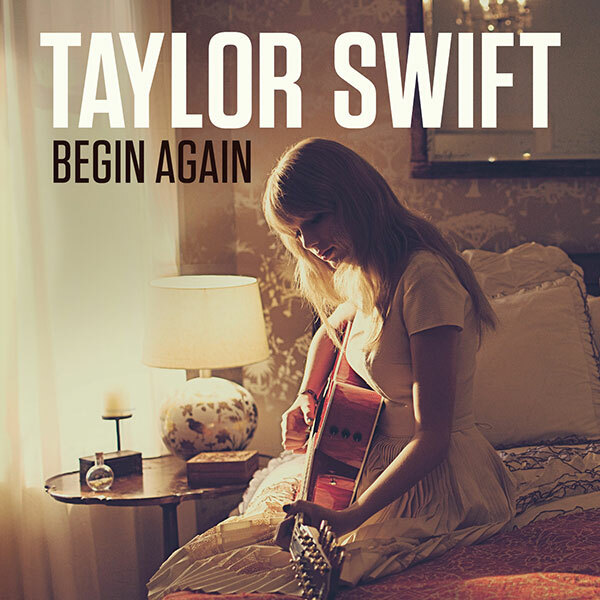 “State of Grace” was my favorite; the intro kinda sounds a bit like the Stone Roses’ “She Bangs the Drum”… I thought “Red” was catchy and clever, plus I was impressed with her performance of it on ‘Letterman’ last week; and “Begin Again” is a pretty tune. 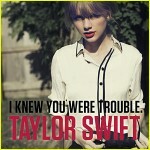 It’s hard to believe thet same person was also (partly) responsible for WANEGBT and “I Knew You Were Trouble”! I despised Taylor Swift when her first album came out. I actually enjoyed a couple of the songs from Fearless (“White Horse” and the title track), but she really won me over with Speak Now. So I was really looking forward to hearing the new album, especially after releasing “Ours” and “Safe and Sound” with the Civil Wars from The Hunger Games soundtrack. However, I was severely let down after hearing WANEGBT. 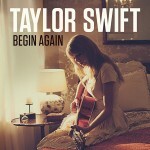 In fact, had it not been for my wife wanting the album and the promise I heard in “Begin Again”, I probably wouldn’t have gotten it. I do have to say, I completely agree with your take on the album. It definitely could have been a much more intriguing effort had she not pandered like she has. My favorite song by far is “All Too Well”. Something about how she uses the little details to construct the story just gets me. I think it will DEFINITELY grow on you. Well look here, another review/article about Taylor Swift. This is getting out of hand. I was looking forward to your thoughts on the album and enjoyed both posts! My favorites are All Too Well (her best song yet) and the Bruce Springsteen-y Holy Ground. On the other hand, the lyrics for Red are woeful and I have no interest in the millionaire sob story of “The Lucky One”. 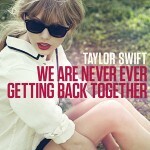 Taylor wrote “Never Ever” for an ex who hated catchy pop music. I don’t think Taylor herself is singing the song from an ironic place. 22 and I Knew You Were Trouble are two of her favorites on the album and I’d imagine both will become pop singles. IKYWT is a great pop song but it’s not the direction I want from Taylor. I’m worried that the inevitable success of these singles will lead her to work with Martin again. Taylor faces a battle between her creative ambitions and commercial ambitions. In the Billboard cover story on Red, Scott Borchetta said he suggested that Taylor work with Max Martin. He also threw Nathan Chapman under the bus, remarking that he called in Dann Huff because Chapman wasn’t hitting it out of the park. Odious man. love the song by song reviews. after buying the album i was kind of bummed out by the really bad songs and how unlike “speak now” the album was but your reviews really helped me get past that and take another listen. this album is annoying and probably cause my gf has had it on repeat constantly. To be honest, I loved this album. Totally agree with your review of State of Grace and Sad Beautiful Tragic but I’ll have to throw a life jacket for 22 and IKYWT(not for WANEGBT though, I’ve never been a fan of it) because they were probably meant for the most general audience, perhaps sell-out songs but they are worth to be on the radio and stuck in our heads for quite some time. What do you mean in saying “I Almost Do” is works out of the lyric hook?